his heart bounded to catch her. 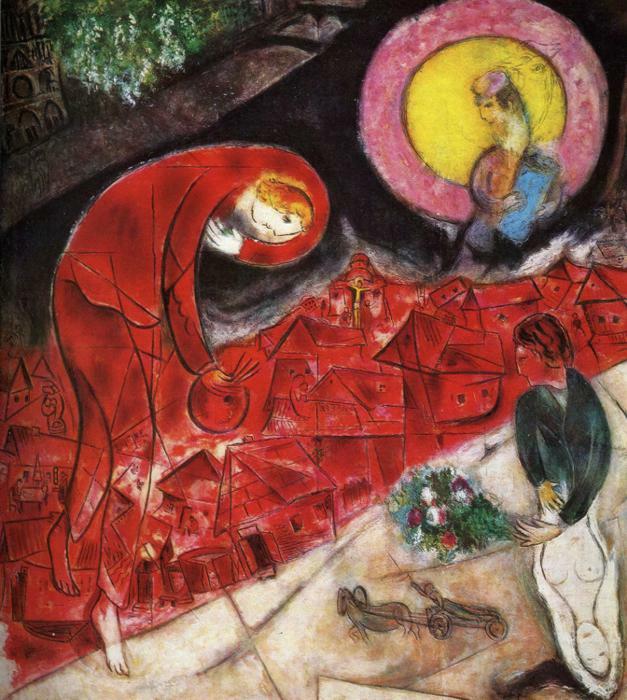 I love the stories flung into Marc Chagall's paintings - always something new and fascinating to discover. There are love stories here, odes and supplications, but arcing over everything, a tree, a forest. Which is how I niftily weave in the fact that, on retreat, I took my five mindfulness trainings, and, in the tradition of Thich Nhat Hanh's lineage, was bestowed with the name Radiant Forest of the Heart :) I think it is a good name... forests are lovely, dark and fathomless, lit inside by wild, magical creatures - I can work well with such a name! Pure Ocean Heart or Perfect Serenity might have been slightly harder to live up to!! I loved writing to this prompt too. I so love your beautiful poem. And, even more, the perfection of your bestowed name,Radiant Forest of the Heart - as you are radiant, Shaista, your spirit always aglow. Thay sees clearly. Lovely! Your header photo is ASTOUNDING!!!!!! Lovely lovely words. (I agree the header photo is astounding). I don't know why, but this is for you. Andrew, thankyou - that is one of my all time favourite poems, oft repeated lines. I never get tired of the repetition, the seeming simplicity, the inherent depths. And I also love your blog banner. So rich and full of life! Where Do My Poems Go?